It’s the morning of what promises to be yet another wonderful day in Blanes. The sun has just cleared the hill of St. Juan, bathing the entire town and its beautiful beaches with its already warm rays. This is the first day of the Festa Major, which runs for eight days and includes the town’s famous fireworks competition. Most of the fishing boats have returned to the harbor hours ago, but already the water teems with pleasure craft — anything from tiny dinghies to expensive yachts. Th tourist ferry boats are on their way to pick up their first customers. The locals have staked out their favorite spots along the beaches, which are already starting to fill up. This article was written in 2013, but we found the situation much the same in 2014 and 2015. 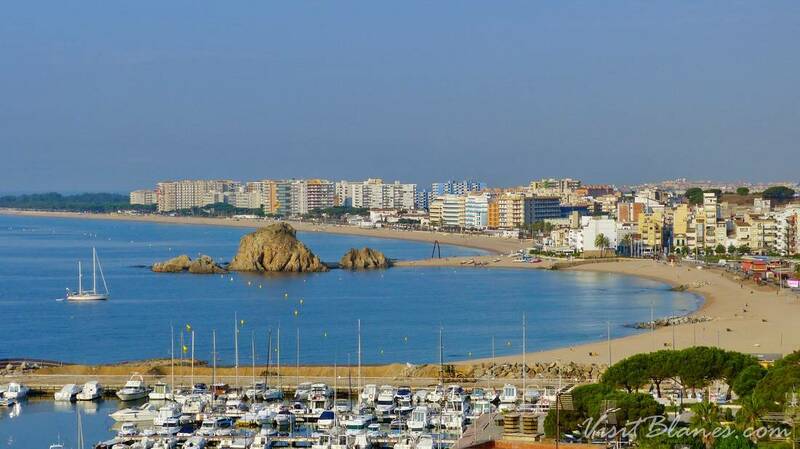 Bottom line: despite the on-going effects of the financial crisis, Blanes is a fantastic place to spend your holidays. Many people have asked us what Blanes is like nowadays — in the middle of the financial crisis. From the sound of it, many seem to expect a situation of gloom and doom, but anyone who vacations here during the Summer of 2013 will tell you that this is not the case. To be sure, the locals have much to worry about. Actual, the free news magazine of Blanes, points out that this year people have few reasons to be in a festive mood. Small wonder: there is an unbelievably high percentage of unemployment. Many of the town’s young people have disappeared — seeking job opportunities as far away as Germany and The Netherlands. On the other hand, while many shops have closed, others have appeared in their place. 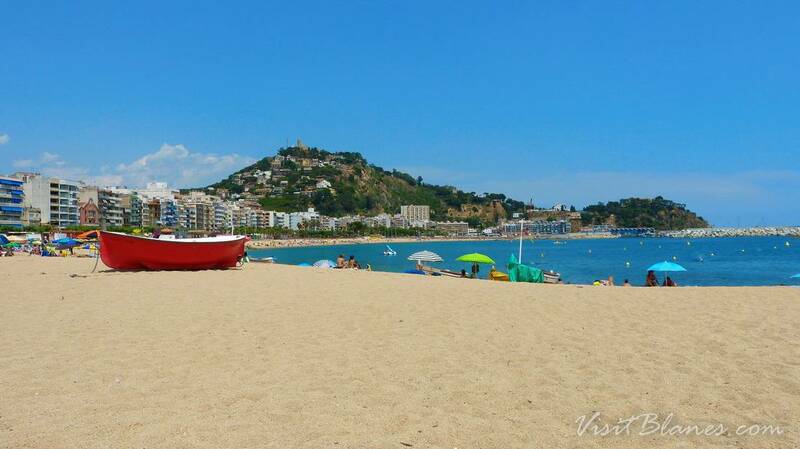 Blanes still functions as one the most favorite beach resorts destinations for Catalan locals — many of whom stay over the weekend. At the same time, there are far fewer tourists. Sure, the beaches are packed during the weekend, but during the rest of the week you can clearly see that many tourists have stayed away. That can have any number of reasons. The on-going crisis has hit many people throughout Europe — and many simply don’t have the money to take a vacation. Among those who still have some money to spend there are many who have opted for newer, cheaper destinations such as Ukraine, and Turkey. And, who knows, many may have stayed away because they expected Blanes to be a town in mourning. We can confidently state otherwise: Even in the midst of the crisis, the people are pleasant, the mood is upbeat, and the attitude is determined — the way Catalans have always been. Throughout Catalonia’s history, the Catalans have braved and overcome countless difficulties and challenges. As always, we have re-sampled the local restaurants that we recommend, and we’re happy to say that we can continue to recommend them. There are a few new places to eat as well, and we will soon share our findings with you. If you have yet to book a vacation or weekend-away this year: rest assured — Blanes remains a wonderful place to be. Now… we’re off to the beach.